"The new London Gold Pool slow motion run on physical gold since 2013 (see latest Russian CB gold buying today) remains in full effect, w/latest COMEX registered inventories hitting lowest levels in 3 yrs, & COMEX owners/oz hitting 185x, highest since late 2015." It's good to see that I am not the only one who seems to be noticing this and publicly commenting on it. The big physical gold demand has been coming out of what Nick Laird calls 'the New Silk Road' which includes China and India. 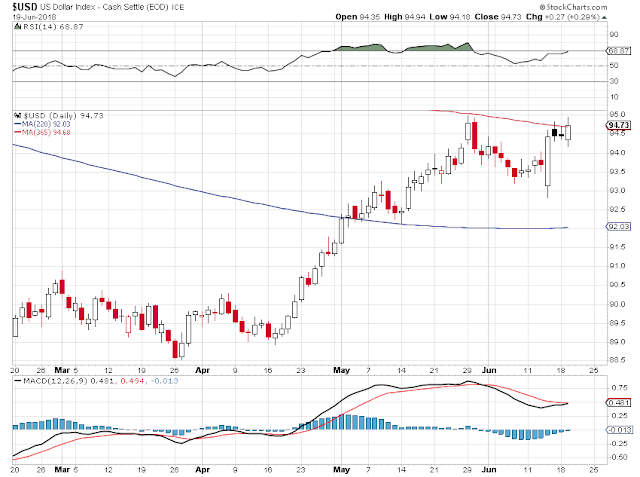 Gold and silver were unchanged on the day, as the US Dollar DX Index slipped below the 95 handle in the afternoon. The drawdown in Physical Gold eligible for immediate delivery has continued its decline. There was a large addition in Hong Kong that was immediate taken off, and then some again. I am not quite sure what this sharp decline in this particular physical gold category means. It could be some big players protecting their own stash of physical during a scheduled price takedown on paper. Or it could be the long awaited reckoning the the thinness in the gold float. The last time we tracked a shortage in the 'gold float' the gold pool was able to fill the void with gold taken from a South American country that had gotten into a jam. Let's see what they pull out of a hat, or points south, this time around. I noticed today that Nick's gold chart accounts are 'suspended.' I am looking into this. He hosts some of the best data and charts on every aspect of the precious metals around. Stocks continued their decline to areas that would be considered short term support. With the replacing of GE by Walgreens Drugstores in the Dow Jones Industrials, one might take a look at its composition and question how 'industrial' it might be. 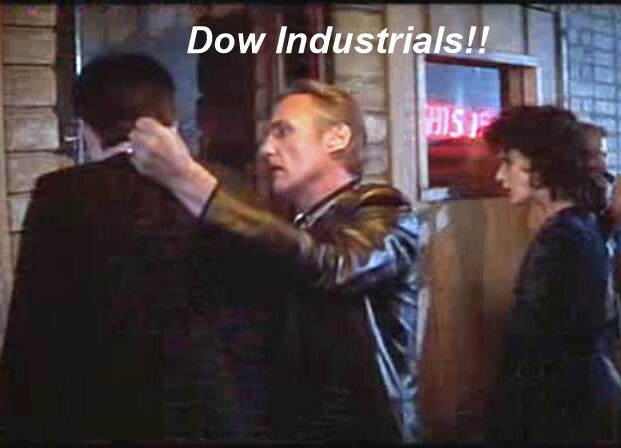 Or as Frank Booth in the movie Blue Velvet might have put it: "Industrials! F**k that s**t! Pharma, Banking, Retail!!" Markets were concerned by the earnings warning from Daimler, as an indication of trouble in the global markets and the effects of a trade war. There will be a precious metals option expiry on the Comex next Tuesday the 26th. 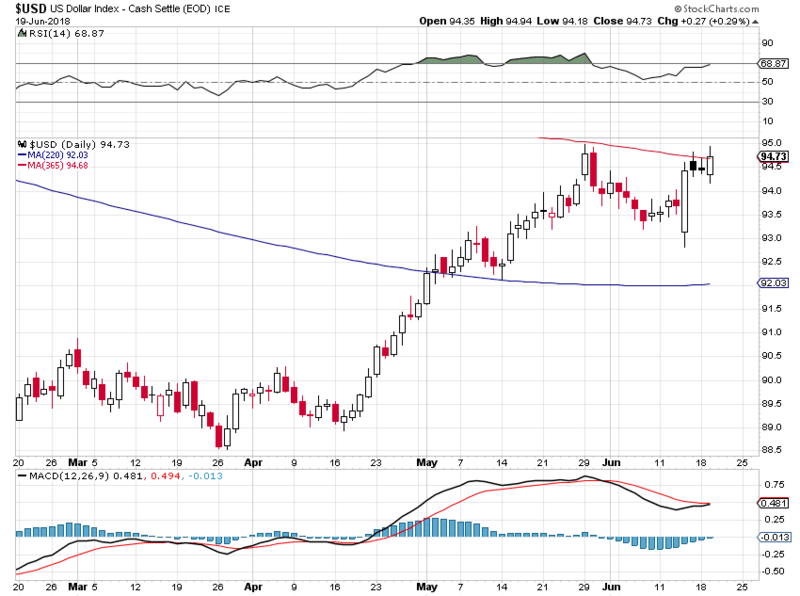 The silver contract is much more active for July, but gold is in an interesting situation now and may see more antics designed to shock people out of their paper claims, which appear to be a bit over the top again.